You bring light in my life with your article. i will try the supplements. I noticed I needed magnesium calcium and potassium supplements to avoid painful cramps at night, so there is still some deficiency or i am loosing minerals. it seems nutrition and supplements are the path to follow. Hi, I’ve been diagnosed with Mosaic Downs Syndrome and Hypothyroidism since I was 4. I was only diagnosed Ceolaic at 21. After a lifetime of symptoms while on Levothyroxine. I have now taken a stand on my health. The Mosaic Downs Syndrome took precedence as I grew up. And my parents fought tooth and nail for me to get through normal school and tertiary education. I’m happily married with 3 Miracle Boys. All healthy but my middle born with a cleft lip and palette. I’ve only just been diagnosed at 33 with Hashimoto’s after telling my Doctor to run test on all TSA T3 T4 and antibodies And now apparently have to be careful as I am very close to getting type 1 diabetes! My biggest symptom is brain fog/ anxiety/ depressed/ hair loss plus more. I’m in Queensland Australia there doesn’t seem to be many intergrative Doctor’s ? I’ve started doing AIP elimination diet and started taking a few of your recommended suppliments. The brain fog is starting to lift but still have only really just started this journey. I want to be there for my kids when they grow up. Any help would be appreciated. If you know of any integrative Doctor’s in Australia/ Queensland I would be most a appreciative. I am a 29 years old married woman. I shifted to UK in 2013 from India; I was a healthy, very active girl back in India. The first winter and the new married lift brought in slight depression and stress in my lift and I went to the doctor to rise a red flag with regards to my gaining weight like crazy, was suggested that since it was cold I felt hungry and I might have eaten more. For this instance every year I kept on doing the blood test to make sure My thyroid level were normal and was suggested the same. Last year in 2017 I was in India and I did go through the blood test and was shocked to know that my level had increased to a whooping level than the normal. Came back to UK and asked for the blood test again and got the same response that I was fine. Then all of a sudden I got a letter recommending me to come and do the blood test again and they said exactly these words “You have been coming to us from last 5 years, saying there is a problem with thyroid and your weight gain; we kept denying that however you were right. You have hypothyroidism and the TSH level is 8.9. We apologise for the wrong tests done”; I am shattered with this news and currently taking Levothyroxin; I was planning to have a baby in another 6 months but now I am so scared to conceive because of everyone saying the complications of the thyroid problems and pregnancy. I am clueless and raging at them for being so negligent towards my health conditions. Hi my name is Lisa. 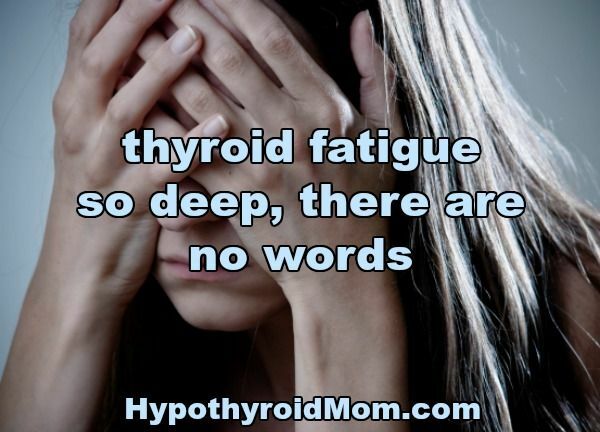 I have experienced hypothyroid symptoms for years but my Dr only tested my TSH and it was always within the normal limits. I recently changed to a PA who ordered an ultrasound of my thyroid gland because of a previous nodule, it showed growth but a biopsy was benign. I insisted on a complete thyroid panel which indicated low TSH, T3, and T4. I am also very low in Vitamin D and my Cortisol and Progesterone are low. I have joint pain, fatigue, depression, weight gain and hair loss. I have an appointment with a function medicine NP in a week. I don’t know if I will ever feel “normal” again. Hi Lisa, It is too common for thyroid patients to hear their thyroid labs are “normal” when they may not be optimal for them. I’m happy you sought out another medical opinion. Get a copy of your lab results and check your scores against the optimal ranges in the chart in this article that I’ll include here in my comment. Good to have you at Hypothyroid Mom. Since the age of 16 and having a horrible case of mono, I honestly never have been the same…and so it began- the fatigue, the the fatigue, the fatigue, gaining weight even though I was very active. I was a teenager, so they blamed it on hormones. They constantly tested my thyroid, and I was always told that it “was on the low side of the bell”…”you have a sluggish thyroid” and it doesn’t justify any meds for it. I fought that fatigue, the feeling like I ran miles and sometimes that was just to answer the door from the couch! NO ONE understood, and so that began. I was too sensitive- sometimes people would hug me and it HURT. I just lived with it and learned to be quiet about it. There were times that I just wanted to sleep but I knew sleeping during the day was a no-no in my house. I could probably write a book but I ended up being diagnosed with fibromyalgia….now, years later I have just had a thyroidectomy, and thrown into a whole other world. I could post so much more….and so many questions, but only if you want to hear it all. I have my first appointment on Wednesday- is there anything special that I should discuss with this new doctor? I have very strange sensations, numbness, tingling, WEIGHT gain, huge weight gain, in the past 6 months….does that drop?? Ever? Hi Patti, Mono is a common trigger for thyroid issues. I too got mono as a teenager and I was never the same. Here is more about the connection to infections. Good to have you at Hypothyroid Mom. I have been diagnosed with Hashimoto’s. For 1 year I did the supplements & I did not get well. I went to my functional medicine doctor last week & after having my thyroid checked again we decided to try Nature-throid. I have been on it 1 week. I did have 1 good day last week. But I realize this will be a long recovery road. I had an ION blood/urine test and will go back to the doctor in 3 weeks. We will see what my body is lacking and supplement. We may also need to add LDN to my meds to relieve pain & inflammation. I have been gluten free for the last 5 months but it really hasn’t done much. I want to believe I will get better soon. Your blog gives me hope. Sounds like you have an open-minded doctor Paula. That is half the battle. Good to have you at Hypothyroid Mom.